SAILING SKIFF 15 was designed for my father to build as a retirement project. Having sailed a Culler Good Little Skiff for almost 20 years, he wanted a slightly larger version with more freeboard and better sailing characteristics. He still wanted to be able to row on the evenings when the wind had calmed and the sunset beckoned. She's light for easy work on and off a trailer, is easy to rig and set sail. Glue and screw construction is 3/8" plywood and epoxy. A solid sheerstrake adds to her looks. Her panel construction is suitable for first time builders. Plans include: materials, lines, panel layout dimensions. 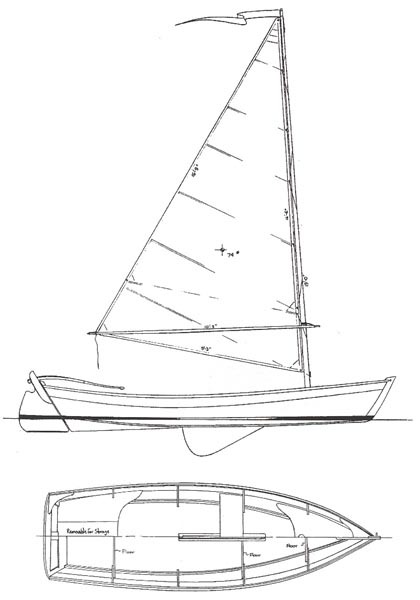 construction illustration, construction, and sail plan. A full size frame plan is available. Estimated cost for quality construction materials (not including sails) is $3600. This cost includes a high level of outfit and finish you can be proud of after putting the effort into building this fine boat. Purchase and Download Study Plans for the SAILING SKIFF 15 for $5.00 in PDF format (zipped file). 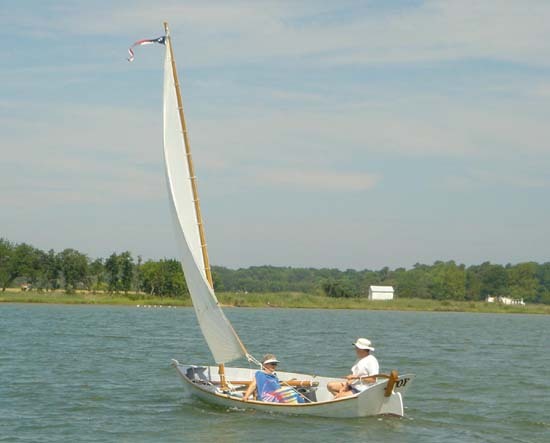 Purchase Construction Plans for the SAILING SKIFF 15 for $75.00 for delivery by US Postal Service. Purchase Full Size Frame Lofting for the SAILING SKIFF 15 for $75.00 for delivery by US Postal Service.